31 March, 2019 - New Web Chromium based for OS/2 getting closer! 24 March, 2019 - Update 8 from OS/2 VOICE/BWW QT, QT partly working! 8 October, 2018 - Remote OS/2 desktop support via the internet. 30 August, 2018 - Update 6, browser fund. July, 2018 - Update 5, browser fund. 13 April, 2018 - Update 4, browser fund and QT roadmap. 29 March, 2018 - Browser funding upate. Logs of recent VOICE SpeakUps, Saturday, 17 February, 2018 and Sunday, 25 February, 2018 and Sunday, 4 March, 2018. 4 February, 2018 - VOICE projects for 2018. 20 November, 2017 - Latest word on our browser funding campaign. 11 October, 2017 - Sponsorship of a new browser. 3 September, 2016 - Recent activity and our new organization. ArcaOS 5.0.3 was released earlier today, on August 19. The personal edition is $129, and the commercial edition is $229. Those prices are for the electronic edition that you download. A personalized DVD is available for an additional $30 for either edition. A discount will be available from now until midnight of Wednesday, August 22. Personal edition is discounted by $20 and Commercial edition is discounted by $34 for the sale period. A personalized bootable USB stick is available for an additional $45. The System Maintenance screen on the DVD and on the USB stick is a nice environment for troubleshooting and backing up ArcaOS, eComStation and OS/2. 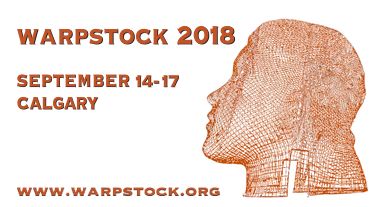 Blonde Guy will be at Warpstock again in 2018. I am presenting ArcaOS pre-loaded Computers. I will describe my recent installations of ArcaOS on five Lenovo computers. If you can't be there in person, please consider watching the video stream during the event. This is a first public announcement about Warpstock Europe 2019. Yep you have read it correctly. Warpstock Europe 2019 is being announced. Why so early? The primary one being that Warpstock Europe will be celebrating its 20th anniversary. The Dutch OS/2VOICE is looking to team up with other computer interest groups such as REXX LA and the Dutch HCC. The Dutch HCC in turn has a whole bunch of groups dedicated to older computers. The event will be organized at the Stay Okay Soest on the 18th and 19th of May 2019. Access for Saturday and Sunday costs $105. This is a discounted rate until the 31st July 2018! Normal price is $120. I need people to book as early as possible. I am doing this mostly alone and I am trying to get other groups of the Dutch HCC involved as well. But this requires me to know as far ahead as possible how many people are coming to the event. And if I need to book an extra event room. The event rooms at the Youth Hostel are extremely popular. Tickets are on sale and the webpage is being filled with more details as well. And if you are asking where hotels are, just look at Google maps. It's not that hard to find other hotels near where we organize the event. * Each message printed has a statement that this is a demonstration version of PMMail/2. A registration code is required to use all features of the program. A PMMail/2 licence is free for those who have been a VOICE sponsor with one standard sponsorship unit at least two consecutive years. Others can obtain a PMMail/2 licence by donating two standard sponsorship units to VOICE. In 2017, VOICE donated 2,800 Euros to BitWiseWorks for Software development, and a 1,126.93 Euro subsidy was provided to Warpstock Europe. In 2016, VOICE donated 1000 Euros to Netlabs to help Netlabs buy a backup server. In 2013, VOICE donated 2700 Euros to support developement of Firefox 17. In 2012, VOICE donated 8100 Euros to support development of the following projects.